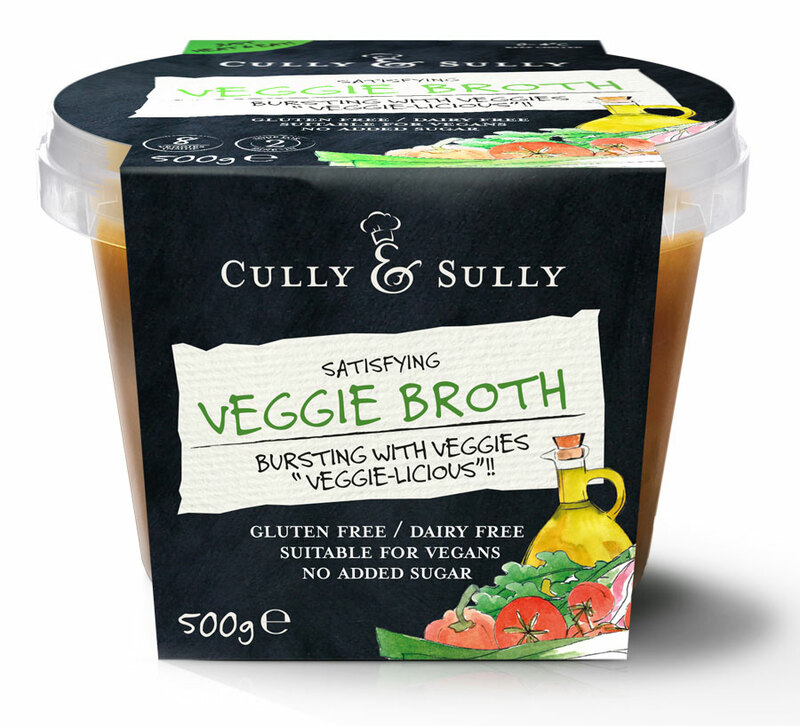 Introducing our new Nourishing Veggie Broth. It is now available in Tesco Ireland and Dunnes Stores. It is VEGAN friendly, gluten free and has no added sugar. We use natural Irish stock. It is byrsting with 8 vegetables (tomatoes, onion, carrots, courgetter, leeks, red peppers, kale and celery) as well as borlotti beans and red lentils! Locally made in Cork . Pour contents into a microwaveable bowl. Place in the microwave, heat at 800w for 4 minutes, stirring half way through cooking. Pour contents into a saucepan. Heat gently for 5 minutes, stirring frequently but don't let it boil. Water, Tomatoes (22%), Onions (14%), Carrots (4%), Roasted Vegetable Stock (Water, Onion, Leek, Carrot, Parsley, White Pepper, Tomato Puree, Bay Leaves), Borlotti Beans, Courgette (4%), Leeks (4%), Red Peppers (3%), Red Lentil, Kale (2%), Celery (1%), Olive Oil, Garlic, Salt, Coriander, Cumin, Smoked Paprika, White Pepper. Chop up some good quality stale bread, toss in olive oil, salt &pepper. Fry until crispy and sprinkle with grated parmesan. Pop on top of your yummy broth.